Jordyn and Hunter’s wedding day was nothing short of magical! 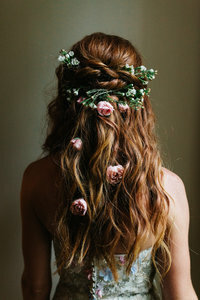 I was blown away by the loving, supportive energy that surrounded the bride and groom. The rain couldn’t dampen their spirits if it tried. 🙂 I am so glad that Bagsby Ranch has a covered awning that allowed us to grab some beautiful portraits outside. The indoor ceremony space, covered in string lights, was a bit of a lighting challenge as I don’t prefer to rely on that type of ambient lighting—it can potentially give you the raccoon-eye look.. and I want better for my clients! 😉 I set up a few speedlights around the room, worked a little LKA magic, and voíla… Jordyn & Hunter’s ceremony photos are some of my favorite indoor ceremony shots I’ve ever taken! I love how it turned out! Wow…Bagsby Ranch is seriously so dreamy! Your skills as a wedding photographer are amazing. 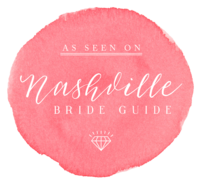 I’m totally infatuated with these photos of a gorgeous Nashville TN wedding! You did the most amazing job as the photographer in capturing this special day! I’m always so wow’ed by your work – even on the gloomiest of days you managed to hit it out of the park!